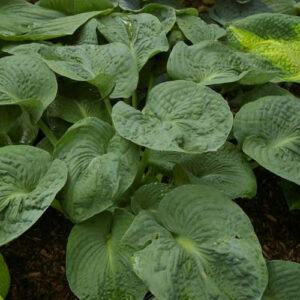 Sport of ‘Empress Wu’ with blue-green leaves and striking apple-green margins; good substance. 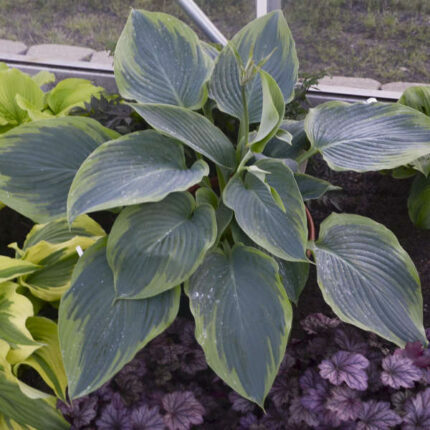 Like ‘Empress Wu’, this hosta will take about 5 years to reach full maturity and size. 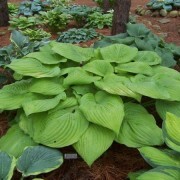 Once you get there, the size of this plant will definitely be a conversation starter! 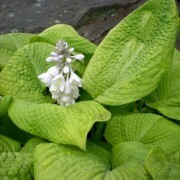 Violet flowers appear in early to midsummer. 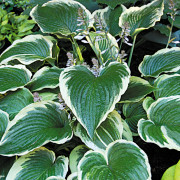 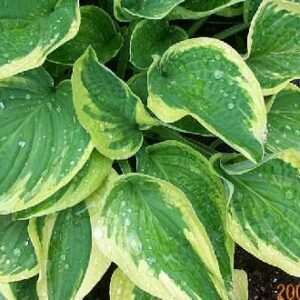 This sport of ‘Empress Wu’ takes the size and presence of the massively popular hosta and takes it to the next level with an attractive margin. 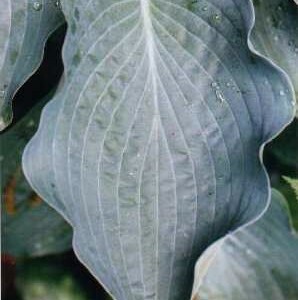 Blue-green leaves have striking apple-green margins, as well as good substance. Like ‘Empress Wu’, this hosta will take about 5 years to reach full maturity and size. 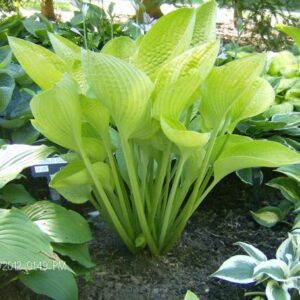 Once you get there, the size of this plant will definitely be a conversation starter! 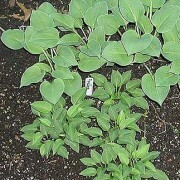 Violet flowers appear in early to midsummer.